Save your money for the popcorn. T-Mobile and Twentieth Century Fox Film today announced an exclusive partnership, and Un-carrier customers will reap the benefits. As part of the deal, T-Mobile customers can get a $4 ticket to five of the biggest movies of the year. And it all starts next Tuesday, January 23, with tickets to the opening of Maze Runner: The Death Cure, followed by four of this year's most buzzed-about films, including Red Sparrow, Deadpool 2, Alita: Battle Angel and X-Men: Dark Phoenix. Customers get their ticket in the T-Mobile Tuesdays app and redeem with the Atom Tickets app. And, T-Mobile customers get more than just tickets. They can enter to win trips to attend premieres and other VIP experiences, plus access to movie sneak peeks available first from T-Mobile. Here's what John Legere, president and CEO at T-Mobile, had to say in his statement. "In 2017, we served up over 63 million awesome freebies and deals to Un-carrier customers through T-Mobile Tuesdays. Now, we are bringing this year's biggest blockbuster movies from 20th Century Fox Film just to say 'Thank you for being a customer!'" Last year, T-Mobile and Twentieth Century Fox Film teamed up with Atom Tickets for War for the Planet of the Apes to bring Un-carrier customers discounted tickets and the deal was such a hit, it paved the way for this more extensive partnership. T-Mobile customers love the big screen, in fact, movies are the #1 most popular deal on T-Mobile Tuesdays! So, the Un-carrier's doing what it does best: delivering even more of what customers really want! Here's what Zachary Eller, EVP, Marketing Partnerships, 20th Century Fox, had to say in his statement. "Twentieth Century Fox Film is excited to partner with T-Mobile for a program across our 2018 slate because we know their customers really love movies! T-Mobile Tuesdays make it easy to deliver VIP access to our biggest films that will excite and engage their tens of millions of loyal customers. That's what makes this exclusive partnership an all-around win." T-Mobile customers can claim their $4 ticket in the T-Mobile Tuesdays app on January 23, redeem it through the Atom Tickets app by January 28, and see Maze Runner: The Death Cure in theaters starting January 26. Maze Runner: The Death Cure is the epic Maze Runner finale to the science-fiction action saga which follows a group of friends as they attempt to save each other in their final and most dangerous mission yet. Red Sparrow, which stars Jennifer Lawrence as an assassin on the run, hits theaters on March 2, and will be the second movie showcased in this T-Mobile promotion. 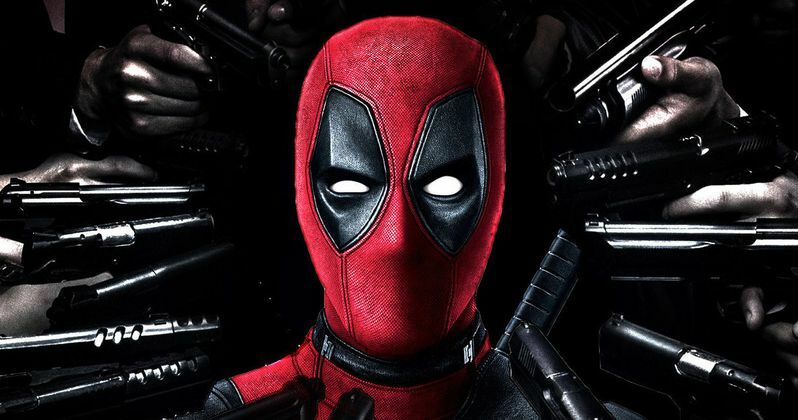 Next up will be Deadpool 2, starring Ryan Reynolds as the Merc With the Mouth, arrives in theaters May 18, while Alita: Battle Angel arrives July 20 and X-Men: Dark Phoenix hits theaters November 2. There is oo purchase necessary for sweepstakes, but a qualifying plan required for T-Mobile Tuesdays. To claim the Maze Runner Ticket, a free Atom account required, which fans must claim by 4:59 am ET on 1/24/18 and redeem by 2:59 ET on 1/29/18. Limit 1 code per ticket order. For more details visit T-Mobile.com.